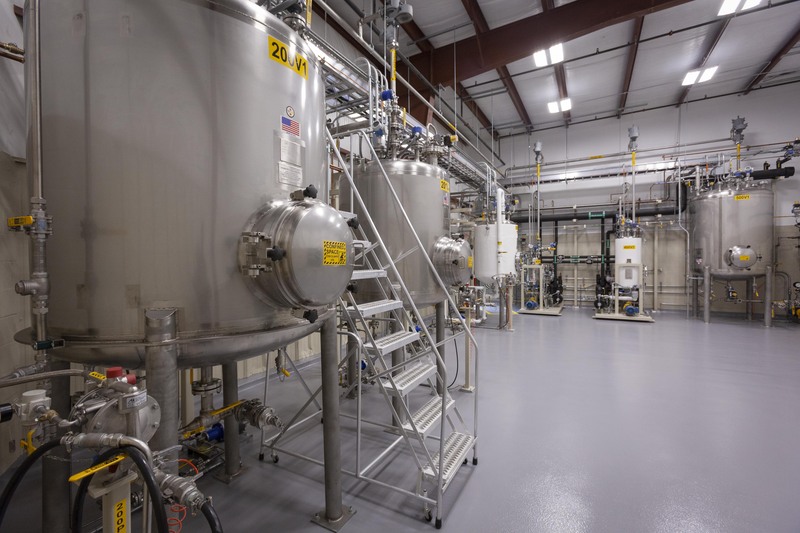 Naugatuck, Conn. – October 24, 2018– P2 Science Inc., a venture-backed, biorenewable chemistry company made today the first ever commercial quantities of a breakthrough vegetable based linear fragrance aldehyde at its new plant opened in September. The product, BioNonanal™ is a 100% renewable linear C9 aldehyde, commonly used in fragrances to impart waxy, citrus and floral notes to consumer products in both household and personal care markets. To date, nonanal has been mainly produced from a petrochemical, Octene. The only option for a renewable nonanal has been via a costly extraction process from certain essential oils such as orange oil. The resulting cost of such a natural extract nonanal made it impractical to use in most fragrance applications. P2’s patented green chemistry process enables the efficient conversion of many common vegetable oils into nonanal and other valuable specialty products for use in cosmetics and related applications. Looking ahead P2 plans to produce a range of renewable flavor and fragrance ingredients at the Naugatuck plant. Some of these, like BioNonanal™ , will be renewable versions of existing petrochemical products. Others will be brand new to market products made possible by P2’s unique process capability. One such novel ingredient, Hydrofleur™ was introduced in June by P2’s marketing partner, Bedoukian Research at the World Perfumery Congress in Nice, France.